Dry eye syndrome is relatively common. It occurs when your eyes don't make enough natural tears. The most common cause of this condition is age. There are also certain medical conditions that can cause dry eye syndrome, such as diabetes, rheumatoid arthritis, scleroderma, thyroid disorders, lupus, and a vitamin A deficiency. If you suffer from dry eye, Richardson Eye Associates can help. Fortunately, there are treatments available for dry eye. The treatment method that your optometrist chooses would depend on the severity of your condition. 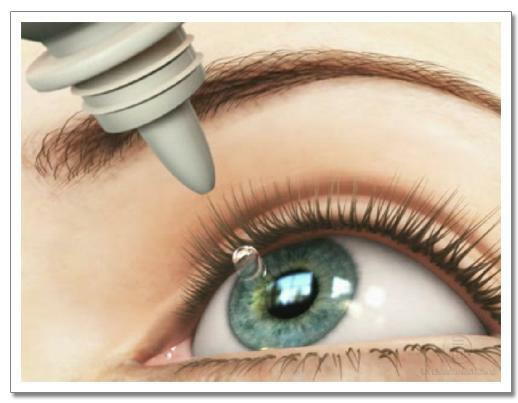 Artificial Tears: The most common treatment for dry eye is artificial tears. Since your eyes cannot produce enough tears naturally, artificial tears will supplement them. You can buy artificial tears over the counter, or you can get them from our optometrist. Restasis: This is a prescription medication used to treat dry eye. You would need a prescription from our optometrist to get these drops. Temporary Punctal Occlusion: This is a temporary measure where our optometrist would close the duct that drains the tears from your eye. If it is effective, our optometrist might suggest permanent plugs. Non-dissolving Punctal Plugs: If the temporary punctal occlusion is successful, our optometrist would suggest longer lasting plugs. LipiFlow: This is a medical device that unclogs your blocked glands using heat and pressure. When the glands are unclogged, your eyes will remain moist, and it will keep your tears from evaporating. This should relieve your dry eye symptoms. Testosterone Cream: Dry eye can be the result of a lack of testosterone in your eye's oil gland. This cream can be applied to your eyelid, and it can cause your oil gland to work better. If you are experiencing the symptoms of dry eye, you should make an appointment with Richardson Eye Associates. Our eye doctor can come up with a treatment plan to help your eye produce more tears, making you more comfortable. How do you deal with dry eye syndrome? Let us know in the comments.